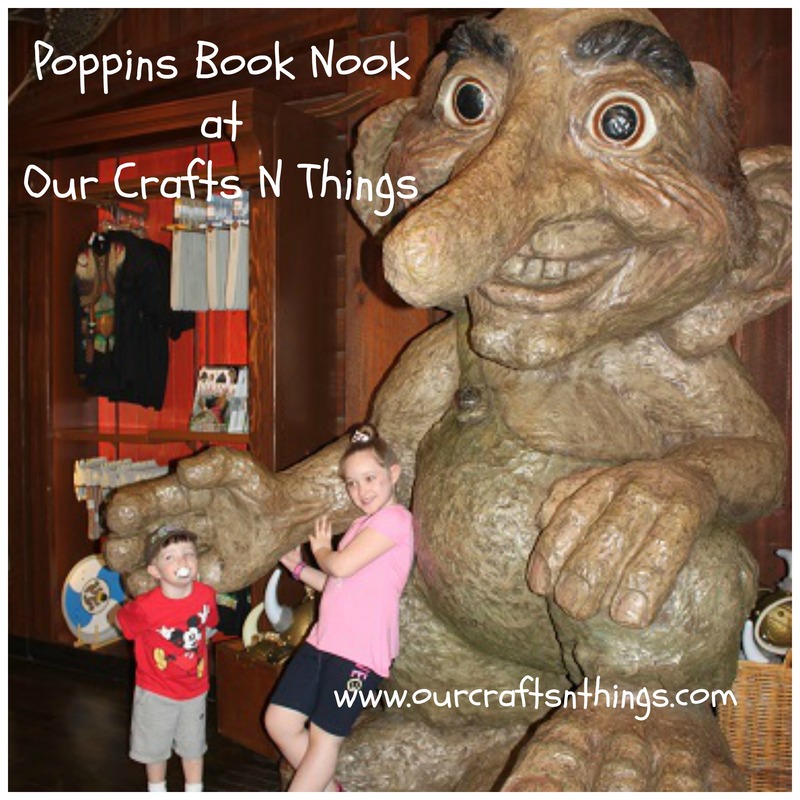 The theme this month for Poppins Book Nook was folktales. We learned about Norway and read Three Billy Goats Gruff, a folktale from Norway. We watched several different versions of the story on Youtube. Hailey and Hunter both made a troll. 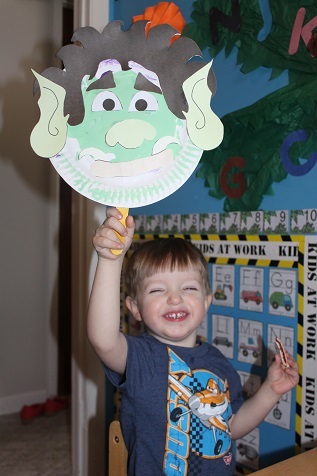 Hunter showing off his troll. 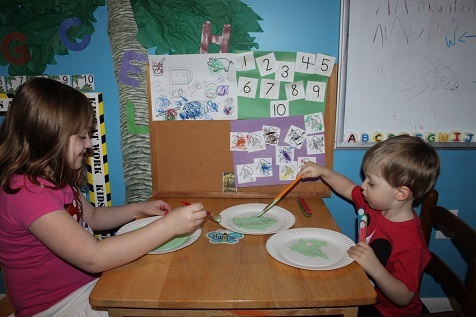 Hailey retold the story of the Three Billy Goats Gruff- we used printables from Journey Into the World of Folktales from Enchanted Homeschooling Mom to make the goats. 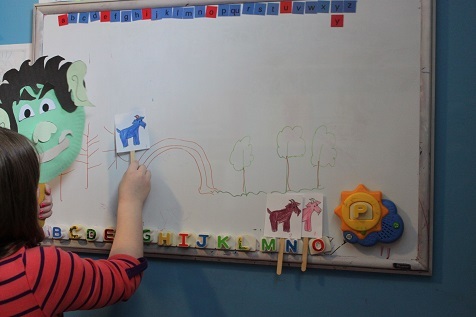 First she drew a little backdrop on the white board, then she used her troll and the 3 billy goats to retell the story. While we were in Disney World visiting Epcot, we stopped in for a visit in Norway. 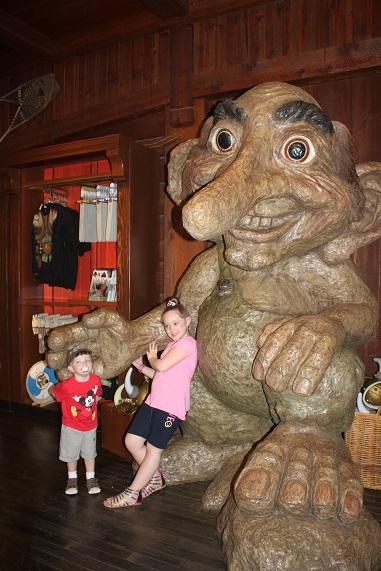 After we went on the fun boat ride, Hailey and Hunter posed with this troll. We also noticed that they had several different versions of Three Billy Goats Gruff on sale in their store. My daughter loves The Three Billy Goats Gruff, it is such a fun tale! What fun ways to explore that story. Your Disney trip sounds exciting. Oh my goodness, those are the cutest trolls ever. You did a great job with this! I love that you incorporated a family vacation moment into a fun story.